Back in May, we asked you to keep in touch with us by registering for email notifications. Besides your name and email, we asked you to tell us what topics interest you so that we can make sure we’re bringing you programs that matter. We received 68 responses so far and here’s what you told us! Did we miss anything? 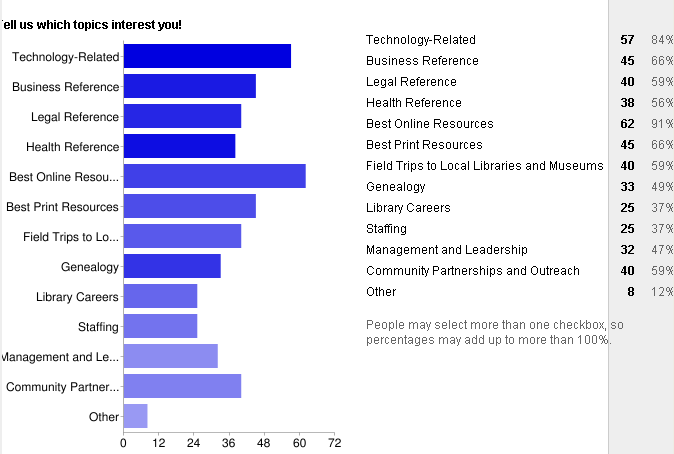 What other topics are you interested in?